We’d love your help. Let us know what’s wrong with this preview of One, Two ... 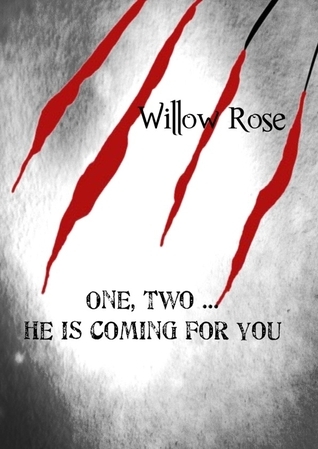 He Is Coming For You by Willow Rose. Another serious page-turner from Scandinavian Mystery Fiction. Once you start One, Two ... He is coming for you - there is absolutely no turning back. Set in the Danish coastal town of Karrebaeksminde, journalist Rebekka Franck returns to her hometown with her six year old daughter. She is trying to escape her ex-husband and starting a new life for her and her daughter, wh Another serious page-turner from Scandinavian Mystery Fiction. To ask other readers questions about One, Two ... He Is Coming For You, please sign up. I am posting this book at an online book club i belong to and it asked for a word count. Can I get that info here? One, two... here's my review; a simple, amaturish plot and an overwhelming amount of grammatical errors made this story flop for me. At least it was free and over with quickly. I read this and began wondering what I got myself into. When a book begins like this, either you close it really, really quick or you slowly turn the page and look through the fingers of the hand you are holding in front of your eyes. You can be sure I’m sitting on the front porch swing, IN BROAD DAYLIGHT, reading it. This book scares you right off the bat; at least it did me. But, then, I lead a sheltered life. T.P. Boje is a well-known mystery writer in Scandinavia and this is her first book I read this and began wondering what I got myself into. When a book begins like this, either you close it really, really quick or you slowly turn the page and look through the fingers of the hand you are holding in front of your eyes. You can be sure I’m sitting on the front porch swing, IN BROAD DAYLIGHT, reading it. This book scares you right off the bat; at least it did me. But, then, I lead a sheltered life. T.P. Boje is a well-known mystery writer in Scandinavia and this is her first book written in English. Other than a few language translations gone awry, this book was very well written. The story line was fascinating and left you trying to figure out who the killer was and who would be the next victim. There was a lot of technical information about serial killers in the book and personally, I found it quite captivating. There are many times throughout the book where you think you’ve figured it all out, only to be thrown off course. It is a great who-dun-it that will keep you guessing right up until the end of the book. Rebekka Franck not only battles her way through red tape to find a killer, but she is also on the run from an abusive husband. She is an award-winning journalist who goes from a high profile job to a job at a local newspaper in the sleepy little town she grew up.The town’s first serial killer begins his rampage shortly after her arrival and soon, she finds herself in the middle of the mystery as she begins to connect the dots. A night long past, rich boarding school boys, a lonely girl, pranks, and retribution bring this book to a surprise ending. I only wonder what mystery Rebekka will be solving in the next book. I am giving this book two thumbs up. I didn't like this one as much as the Emma Frost series, but since it's the first I might get more into them. I thought the book was creepy enough. I didn't like that Rebekka didn't call the cops on her stupid husband, I won't say while because of spoilers. He just needed to go to jail and get treated for his PTSD. I loved Sune and his son Tobias. I do look forward to reading more stuff they all get into together. 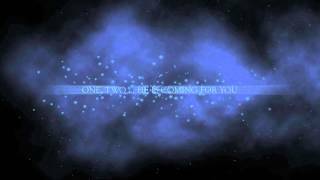 One, two ... He is coming for you is a breath taking thriller. You will never guess who the killer is! This is Scandinavian Mystery when it is best! Rebekka Franck is a very well-known reporter in Denmark that moves back to her hometown of Karrebaeksminde. Soon after she starts her new job on a local paper the body of one of the wealthiest men in the country is found in his summer residence in the coastal town. Rebekka Franck knows him and begins to dig in his past and finds a lot of dirt on him and his friends from the same boarding school and soon she reveals a series of very dark secrets. When another man from the same boarding school is found killed she discovers the connection and the hunt for the first serial killer in Denmark has begun. Rebekka also fights her soon to be ex-husband, who fights with all he has got to get her and their six-year old daughter back. Rebekka makes friends with her new co-worker the punk-photographer Sune and together they try to solve the mystery of who it is that is killing the rich high society men from the same boarding school. And most importantly: WHY. This is thrilling, fascinating and very difficult to put down. And it has some really suspenseful and chillingly ugly scenes. It had me guessing all the way to the end and when I finally reached the end I did not want this story to ever stop. I LOVED IT! Now I look forward to the sequel. Ok this one I am sure about to be honest. I understand that its fiction and I have read a lot of fiction in my time. Not only that but some fiction is clearly so extreme that it cannot possibly be anything BUT fiction. That said now for my next point - when one piece of work acknowledges another - I feel a little sense of anticipation - if they acknowledge each other and build on the lore the first one set down - I think that the great and wonderful imaginative world out there is just one little Ok this one I am sure about to be honest. I understand that its fiction and I have read a lot of fiction in my time. Not only that but some fiction is clearly so extreme that it cannot possibly be anything BUT fiction. That said now for my next point - when one piece of work acknowledges another - I feel a little sense of anticipation - if they acknowledge each other and build on the lore the first one set down - I think that the great and wonderful imaginative world out there is just one little bit nearer reality - but when one piece of work dismisses another as total fiction - I don't know I feel a little cheated as if me suspending my disbelief while I read it was wrong almost naive and foolish I feel a little disappointed and let down. Well this is the case of this book - its a general crime thriller and not a bad one at that - but it uses props from a famous horror movie and clearly states that the film was fiction. I know there are copy cats out there and yes sadly there are famous cases where murders have taken to follow events or characters from film and TV. But I don't want a piece of fiction to use another piece of fiction. This is the first book of Willow Rose's that I have read and I found it an enjoyable, quick read that held my attention. Great plot written simply. I have quite a few more of the author's other books loaded on my Kindle so it will be interesting to see how the others compare. Just not feeling this one right now. May try again later. I was barely even started so I am not even going to DNF this one. At this point, if I am not totally sucked in from the get go, I am just moving on. No harm, no foul. This is the 1st book I read by Willow Rose. The killings were gruesome but I tried to read this story for days but it was too slow moving which made it boring to me. Willow Rose has apparently "sold" over a million books, and I use quotation marks for that because I personally have added about 6 or 7 of her books to my kindle for free. After finally reading one of them I have the sneaking suspicion that most of those millions were grabbed up as freebies, because it surely can't be based on the writing. I've read books by Scandinavian authors before (Jo Nesbo, Stieg Larsson) and while once in a great while the translation to English might seem a little off or Willow Rose has apparently "sold" over a million books, and I use quotation marks for that because I personally have added about 6 or 7 of her books to my kindle for free. After finally reading one of them I have the sneaking suspicion that most of those millions were grabbed up as freebies, because it surely can't be based on the writing. I've read books by Scandinavian authors before (Jo Nesbo, Stieg Larsson) and while once in a great while the translation to English might seem a little off or awkward there is no way the formatting of this story can be blamed on that. The writing is very stilted and simplistic with no depth at all. There wasn't any sense of dread or suspense or...anything really. I plan on giving the author another try since this was published 4 years ago, perhaps her writing has improved? If not I will have quite a few freebies to delete from my library. "Seriously disturbing, but they got what they deserved" would be the title of this review! There were enough false trails scattered about the book that the ending was not predictable. A plot with employment angst, gruesome deaths, victims who deserved it, and family tension. I want to say it was an enjoyable read, but that sounds like I enjoy reading about people being disemboweled! So I will say it was a suspenseful read, with a healthy dose of red herrings - which I admire in a book. And I will n "Seriously disturbing, but they got what they deserved" would be the title of this review! I can't recommend this book. I'm baffled that this author has written more than this book - like a lot more - and seems to be a popular author. The plot was completely unbelievable. The main character is supposedly a reporter who has worked world-wide. However, when she get a new job, she seems at a loss as to what to do. She also lacks confidence in her abilities and seeks as much approval as she can from her boss. The main character is also running from a mentally abusive husband. However, she I can't recommend this book. I'm baffled that this author has written more than this book - like a lot more - and seems to be a popular author. The main character is also running from a mentally abusive husband. However, she doesn't act like it. She returns to her hometown where anyone can find her, including the husband. She puts herself into dangerous situations and doesn't seem to be traumatized. She doesn't act scarred and emotionally wrecked as she entertains several potential love interests. There are many conveniences and coincidences that propel the action forward. The author writes with more of a telling style rather than showing. There are very few details and descriptions. At the point the husband finds his wife and daughter, the main character elects to let him stay because maybe he has changed. Say what? This is not consistent with someone who has been emotionally abused. And certainly not one who feels her life is in danger. Lastly, this book is very poorly edited. Lots of missing words. In addition, there are a lot of repeated words, sometimes in the same sentence. This book is the first in the Rebekka Franck murder-mystery series, and if it's anything to judge them by, it's going to be an awesome series! Set in Denmark, Rebekka is a journalist who's returned to her hometown after her marriage has broken down. Expecting nothing exciting to happen, she's taken aback when a gruesome murder happens - and gets some very interesting stories to write as a result, because the victim's a very unpleasant local rich man. But when more murders occur that are obviousl This book is the first in the Rebekka Franck murder-mystery series, and if it's anything to judge them by, it's going to be an awesome series! Set in Denmark, Rebekka is a journalist who's returned to her hometown after her marriage has broken down. Expecting nothing exciting to happen, she's taken aback when a gruesome murder happens - and gets some very interesting stories to write as a result, because the victim's a very unpleasant local rich man. But when more murders occur that are obviously linked (but which the detective in charge refuses to accept are anything more than individual incidents) she decides to investigate herself. I enjoyed reading this book as it was an excellent murder-mystery with suspense-thriller elements. It's a bit gory in places, so definitely not suitable for younger readers, but not excessively so - it's all in keeping with the story, complimenting and enhancing it. I found the Danish locations and words a little tricky, but that's because I'm English, have never been to Denmark, and am completely ignorant of all things Danish! When I looked up a Danish map it helped give me more of a visual understanding of where the action was taking place, so maybe having a basic map at the front of the book would help people like me! Otherwise, I'd highly recommend this book to people who like murder-mystery with a thriller-suspense twist, and would definitely read more books in this series in the future. From the title, I expected this one to be creepy and I certainly got that. While this first book in the Rebekka Franck series is a murder mystery, it also serves as an introduction to the world of our main character. Rebekka has her own turmoil going on with a crumbling marriage and getting settled back in her home town. Her new job as a reporter for her small town newspaper takes off rather quickly with a gruesome murder and soon, she's on the hunt for a serial killer. Rebekka's personal life m From the title, I expected this one to be creepy and I certainly got that. While this first book in the Rebekka Franck series is a murder mystery, it also serves as an introduction to the world of our main character. Rebekka has her own turmoil going on with a crumbling marriage and getting settled back in her home town. Her new job as a reporter for her small town newspaper takes off rather quickly with a gruesome murder and soon, she's on the hunt for a serial killer. Rebekka's personal life made for an interesting side story, although I did feel like the possible new romance was a bit fast. A really good read considering it's the author's first book. Would have liked more details on Denmark, sounded like a very interesting setting (demographic only 5.5 mil). Having read a lot of thriller/crime/mystery, James Patterson, Larsson...etc. felt the story was a little amateurish. But considering everything, a really good read, the perpetrator wasn't one the one I suspected. Correction: It isn't the author's first book, it's the first of a series. It has a good plot, well developed character A really good read considering it's the author's first book. Would have liked more details on Denmark, sounded like a very interesting setting (demographic only 5.5 mil). Correction: It isn't the author's first book, it's the first of a series. It has a good plot, well developed characters, thread of rightful vengeance & a fairly good pace. The reason it didn't "wow" me was because of the simplicity & at times unrealistic developments. It lacked a few frustrating dead ends, false leads. This story is set in Denmark, in the coastal town of Karrebaeksminde. Rebekka Franck, a journalist, moves back to her home town with her six-year old daughter, Julie. She's trying to avoid her ex-husband (well, they are not divorced yet) and start a new life for a small local newspaper. But a shock strikes the residents of this small town when one of the country's wealthiest men is brutally murdered at his summer home. She and her younger geek photographer, Sune, "Awesome Investigative Thriller"
I don't know if there was a translation here, or just poor editing, but concur that sometimes the 'English' got in the way. As did some rather silly proclamations by our heroine. Very short, think a bit over 200 pages, very easy read, not a ton to keep up with us, so it passed the time. I guess I want just a bit more from a book than to just pass the time. Got this as a freebie from Amazon. It's an acceptable crime thriller. Reads rather like a Sunday evening BBC/ITV crime drama. Plenty of gruesome killings before the advert breaks. Nice side story regarding the central character's ex-husband. Finished book (at something like 85% :-( due to amount of advertising at the end) to paraphrase Eddie the Shipboard Computer "it's OK, but it smells a bit" there is nothing particularly wrong with the book per ce but nothing especially exciting about it. Bas Got this as a freebie from Amazon. It's an acceptable crime thriller. Reads rather like a Sunday evening BBC/ITV crime drama. Plenty of gruesome killings before the advert breaks. Nice side story regarding the central character's ex-husband. Unputdownable! So gritty and raw. This is a really great thriller and a good start to an incredible series that will keep you turning the pages. Rebekka is a complex, tough and interesting character. Love her already. Looking forward to read more. if you like murder mysteries, then this should be your next read. it was well thought out and very suspenseful. I can't wait to see what Willow Rose has in store for us in the next book of the series. I highly anticipate reading it. The bones of this story had potential, but I just couldn't get past the errors in grammar, spelling, and syntax. I guess I'd like to see how it would read if written in her native language and translated by a professional. After some problems with her husband, Rebekka moves back home with her dad, bringing her daughter with her to start a new life. Things get complicated and I don't want to spoil the plot for you. It was a really good book so am going to start on the next one in the series. The Queen of Scream aka Willow Rose is a #1 Amazon Best-selling Author and an Amazon ALL-star Author of more than 50 novels. She writes Mystery, Paranormal, Romance, Suspense, Horror, Supernatural thrillers, and Fantasy. Willow's books are fast-paced, nail-biting pageturners with twists you won't see coming. Several of her books have reached the Kindle top 20 of ALL books in the US, UK, and Canada. The Queen of Scream aka Willow Rose is a #1 Amazon Best-selling Author and an Amazon ALL-star Author of more than 50 novels. She writes Mystery, Paranormal, Romance, Suspense, Horror, Supernatural thrillers, and Fantasy. ☞ - Ten Little Girls (Rebekka Franck #9) - Just released! ☞ - Drip Drop Dead (Emma Frost #12) - Coming soon. Inbox already stuffed? Send the word: “ebooks” to 31996 to get a text alert with news about new releases, giveaways, and bargains from Willow.